Can You Make it Off the "Four-Day Work Week?" The name is self-explanatory: the four-day work week. Where, obviously, one's working days lasts only four out of the seven days. (Vs. the traditional five, or even more, days of work.) If you haven't heard of it, it's a schedule that's growing overseas, and among entrepreneurs. With the idea that working longer hours, yet for fewer days, will allow one to get as much or more done than when spreading their tasks throughout five days. It's also said to bring on more relaxation and creativity time, as it gives three days "off" – providing some much needed R&R time, whether or not you think you have been overworked. For the franchisee who is setting their own hours and working to find as much success as possible, it might even be an ideal scenario. Health professionals have been following these schedules for years, with much professional growth. Meanwhile, the trend has been catching on elsewhere. 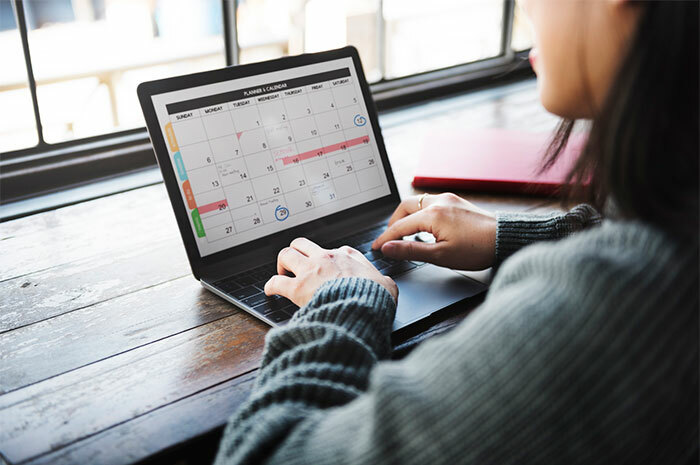 With a schedule that's highly efficient, you can actually get more done in a short amount of time. This is bound to lead to some serious morale, while also creating free time, wherein you can work on additional projects or work upkeep, or just have some time to enjoy being with family and/or friends. As an entrepreneur, you make your own schedule. That's a given. But all-too-often, franchisees fail to set hours. Instead they work whenever they can, as much as they can. This creates a façade that they are always available (letting others to call or email more often with more requests), and it also makes you tired. Though you might not realize it at the time, you're easily burned out. No one can work all the time. It's impossible. You'll get tired, your work will suffer, and you'll start making excuses instead of getting things done. No one wants that scenario. Whether they are a franchisee or working for "the man." Instead, look to creating focused and streamlined days that set you up for success. Start the day early (or stay late – whenever you get your best progress done, be sure to be working during this time). You should also set aside a few hours each day where you're able to work, uninterrupted. No meetings, no calls – just hard progress. However, you should also make plenty of time for said calls and meetings, just not while you're attempting to get other work done. It will only interrupt your progress. If you're a schedule person, make one. Understand what needs to get finished, and create hard deadlines with email reminders (or a written calendar) to set as many safety nets as possible. As for set business hours, put someone responsible in charge and ensure your employees are properly trained so they can keep a ship up and running, even when you're not there. In order to get as much done as possible (in a small amount of time), avoid distractions. Set your phone on silent, and stay away from social media or other Internet wanderings at all costs. That goes for chatting with employees, too. Keep the small talk to a minimum. If it helps, use a timer that will let you work for X amount of minutes and "earn" a rest. Research has shown that this type of setup leads to more productivity, even more so than working longer hours. It's also a quick pick-me-up to get a break, and then head back to the grind. In using these simple and easily achievable tasks, you'll be able to get more done. At the end of the day, you will have accomplished more for your brand. Even if you only happen to be working four days out of the week. And if you're really that into regular distractions, take them on during your long weekend. By working four days a week, you will have far more creative energy to pour back into your business. Rather than being burned out, you will approach your franchise with gusto, putting in hard efforts and new ideas that will help it thrive to new heights. By working "less" you can actually be gaining more. Remember that this is a long-term goal. Owners of new franchises often spend more time opening up shop and ensuring that everything is in place. However, once your brand is hitting its stride, you can easily gain by creating focused hours that allow you to rest your mind, and therefore bring more to your franchising location.